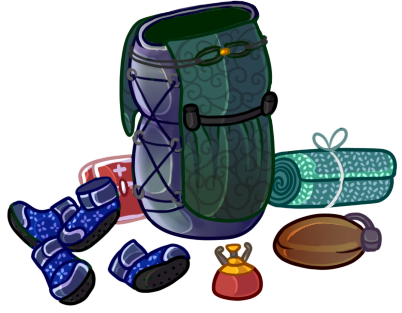 Echoing the subtle shift of the seasons, September’s OotS is the Summer Souvenir, along with their Handy Hatchet and Foraging Backpack! This month’s coat was created by Morgan, and the items were created by Myla. You may purchase this set in the Out of the Shadows shop through the end of the month! August’s Creative Collective has drawn to a close! Thank you to everyone who posted a submission, engaged in a roleplay, or offered some feedback this past month. The raffle has been drawn and new prompts are up! Our beta adventurers have concluded their first adventures, and are currently in the process of giving feedback on their experiences thus far. Meanwhile, glitch and Myla are hard at work updating the system according to tester feedback with the goal of beginning another worldbuilding round sometime during the month of September. More information, as well as the applications to become a beta tester for this new feature can be found here. These applications will remain open throughout the beta process. You can also continue to find beta testing updates on the Adventures Beta News page. 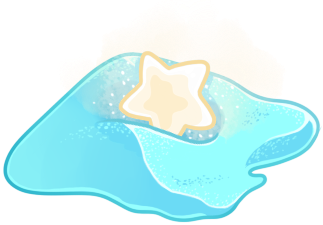 Our summer event, Search for the Fallen Stars, concluded on August 17th. Feedback has been collected and prizes from the feedback raffle have been distributed! You can find the feedback survey results here. We are happy to see that players enjoyed this event, and look forward to our next one! We currently have a survey running until the end of the day on September 1st (that’s today!) asking which unedited Mycenian bases you prefer! If you haven’t already, we encourage you to chip in your opinion. You can find more information as to why we are conducting this survey, as well as the link to the survey form here. Later this month, we will be holding a forum activity in a similar vein to A Day in the Life and Meet the Mushrooms. More information on this activity and its rewards will be made available closer to its release! Can you feel that chill on the wind? Autumn is coming, and with its approach, Bruc is beginning to prepare a shift in his stock. The new Fall Seasonal coat will be released on September 22nd, so be sure to get your hands on those Summer Seasonals before they disappear until next year! Finally, we can come out of storage! Myla Ever since our Star Search event concluded last month, I’ve been pining to play with the pretty pastel coloured rocks again for Cave In. Is there any sort of a timeframe for when the artwork might reappear? I’m hoping for toggeable because I adore having options and it would be best for players that struggled with the brightness. Myla Thank you very much for the reply! *shelves pretty Cave In for now….Best wishes for smooth testing of the other games!